A universe bound by parallels and gravity could not have begun to comprehend the possibilities of animation when it was established as a new art form in the mid-1920s. The idea of thousands of drawings creating the image of a moving picture seemed, for the most part, like a false hope; yet the mind of Walt Disney, who essentially discovered the cartoon, proved differently. Suddenly, the world as we knew it was left behind--characters and their residing dimensions sprawled freely from the limits of reality, circumscribed exclusively by the constraints of the creators' imagination. Only massive budgets stood in the way of their innovation; this was a time, after all, when special effects and computer imagery could not help with the process, and individually hand-drawing and coloring the cells was rather expensive. Naturally, like the live-action technique of moving pictures, animation was in its experimental stages for the good part of a decade. Once artists had finally learned to take shortcuts and improvise on limited time quantities, they were able to provide the moviegoer with more free-flowing, limitless products (as time went on). The standard was arguably set by the first ever feature-length animated film in 1938, "Snow White And The Seven Dwarfs." The years since then have been very kind to the cartoon; Disney's never-ending voyage of feature animated films has now become an annual event, and several other studios have lent their hands in expanding upon the stature of the animated motion picture. Such a positive growth could not have been possible, however, with the improvement of technology. The development of many recognized animation processes (multi-layered backgrounds, Xerox animation, computer effects, digitally painted cells and deep canvas backgrounds, just to name a few) did more than just push the envelope for the possibilities of cartoon pictures; it enhanced our faith and appreciation for a dimension that cannot possibly survive in the real world. One of the newest approaches of animation, perhaps rightfully one of the most intriguing, is Japanese anime. 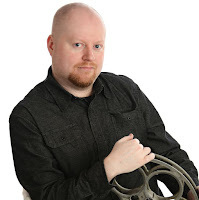 Oh, certainly it has nothing new to add to the spectrum technologically speaking, but as far as fresh and innovative stories are concerned, one is sure to find something much different from the routine feature cartoon of North American studios. In fact, anime has become so popular in pockets of the world that by the time Hayao Miyazaki's "Princess Mononoke" made a debut in its home turf, massive turnout pushed up ticket sales to a record number. To this day, only "Titanic" beats its record (pretty impressive, nonetheless). Of course, few countries outside of Asia's mainland have caught on to the possibilities with this art form. Perhaps many are weary because the visual treatment, be it unique, does not contain the massive depth that so many modern American cartoons do. Certainly the stylistic approach that the general pictures take is not always perfect (even Film Critic Scott Renshaw's notion that Japanese anime contains "a strange lack of fluidity to the acrobatic movements" seems justifiable at times). But what attracts native audiences to anime in the first place, I think, is not the choppy motions, but the utter magnificence of the narratives. The recent years for the Disney cartoons have been watered down by a repetitive underlying theme in the storytelling; films like "Akira" and "Princess Mononoke" ignore the underbelly of cartoon formulas, and approach the stories with a sense of refreshed possibility. The name Hayao Miyazaki is synonymous with the words "legend" and "genius," especially for those who have come to recognize his extraordinary work in the anime field. His "Princess Mononoke" is a bold new step in the effort to break from the restraints of a non-mainstream status; it was recently released in American theaters after its tremendous success overseas. The film is really made for adults (massive decapitation is implemented in the imagery), but some might be scared off because, for obvious reasons, animation is perceived as a kiddy genre. One should not feel embarrassed for any reason if they happen to walk into the theater without taking their children along for the ride. 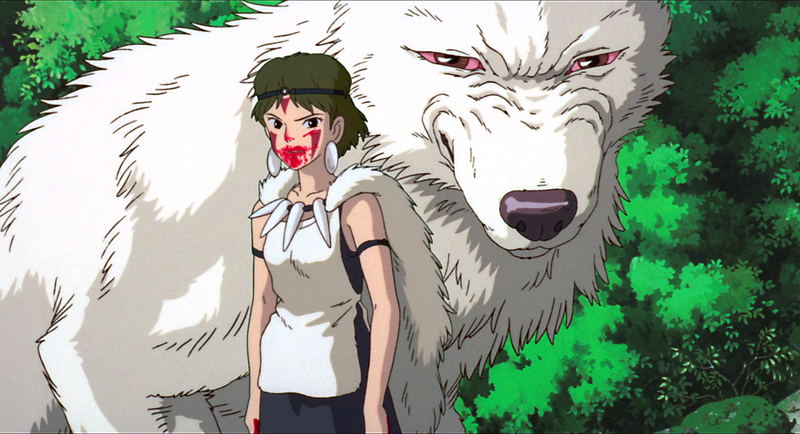 Unlike traditional cartoons (even those that are adult-oriented, like "South Park"), "Princess Mononoke" is part quest movie, part epic, and all adventurous; based somewhat on famous Japanese mythology, the movie opens at the "dawn of the Age of Iron," in which man and nature could not depend on each other in order to flourish. The warrior Ashitaka (Billy Crudup) mounts his horse and sets off to pursue the much-feared Curse God, who is wreaking immense havoc as he travels through Northern Japan. The touch of this beast inflicts a curse of death, and although the warrior is able to bring down this massive creature, he is at first exposed by the contact of it. His only hope of survival: to find the Forest Spirit far in the West. His journey through the God-infested forests takes him to a remote establishment of the Tatara clan, where he is welcomed in by the people after he saves the lives of two men during a nearby battle. The attack is instigated by the forest's Wolf God Moro, a powerful being that has raised a human as her daughter. The girl, San (AKA Princes Mononoke), is practically a walking war machine, eager to destroy the very human beings that threaten the lush forest she lives in. The film features the implement of English dubbing, brought to life by many recognizable Hollywood stars. It has been said that changing the language of a film after it has been made for another tends to distract a viewer, since the mouths move in completely different ways then what the words infer. That notion may be true for most endeavors, but in animation the mouths are drawn to move in their own ways; the dubbing is not really noticeable. Of course, "Princess Mononoke" is not simply a movie with a fresh story and unique style; here is a film that reaches for unforeseen heights, and surpasses them. It's amazing how 14th-century mythology could inspire such a visually and narratively ambitious animated feature--for 150 minutes, there is never a slow or dull moment. The story is so well organized that the accompanying images gain a sense of beauty and depth off of it, providing some impressive effects for those of us who adore the animated genre in general. I'm not particularly a fan of the visual style of most anime efforts, but the freedom of most of the action segments, and the careful craftsmanship of the colorful backgrounds, earns the movie a right to be compared to many recent Disney features (including "Tarzan"). "Princess Mononoke" deserves to be remembered. But will the picture stand the test of time? In Japan, it's very likely; in America, probably not. Audiences in selected corners of the world have embraced anime for its style, mood and, perhaps most importantly, the innovative ways of approaching the plot; unfortunately, this ol' land has yet to grasp the strength in the execution of Japanese storytelling. Nonetheless, someone has faith in the discovery of this animation, as the film has become the first of Japanese origin to get a wide theatrical release here in the United States. At least the sparse population of American fans is able to experience this brilliant material on a large theater screen.